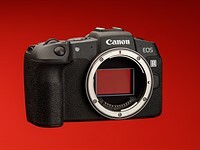 I don't know the Canon system well enough to comment but doesn't the 7D2 have an APS-C sensor? Anyway, Nikon makes FX lenses and DX (APS-C) lenses. What happens when you mount a DX lens on the D5 (FX body) vs the same lens on a D7200 (DX body)? One could argue that mounting the DX lens on a DX body is full frame as they are made for each other. I am saying that the FF term that so many like is wrong. It is a term that was started by the marketing people at either Canon or Nikon to suggest that a 24x36mm sensor is better. Better than medium format? Why isn't medium format called full frame? This nonsense is just like what happened with Japanese cars in the US back in the 80's. To try and slow down the sale of smaller cars, the big three started to call their cars Full Size cars. Most Japanese cars were classified as sub-compacts. Marketing crap. The logic is Not flawed. What is flawed is the notion that the 24x36mm sensor size is full frame. My point is - this lead to the misunderstanding of the original post by some who responded. See the quoted text above.